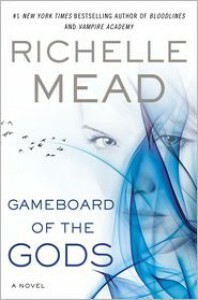 Gameboard of the Gods is the first novel in a new upcoming series by Richelle Mead, author of the famed Vampire Academy series. This series, Age of X, differs in many ways from her Young Adult books. At first there were similarities to the spin-off series, Bloodlines, that I found intriguing. However, this is an adult Science Fiction series, something best remembered going into the read. And it's also very different from everything that Mead has written before.Writing a new series is walking on perilous ground when the previous one is so beloved. In this case it's a risk that may pay off for Mead. She has legions of fans from the Young Adult Market. This book provides an opportune time to plunder a different following from the Adult market. I think that this offering will earn them in scores.In Gameboard Mead has set up a futuristic world with several characters in play. 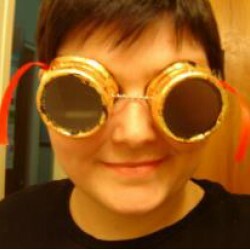 We start with Mae, an extreme, all-business type persona. Mae Koskinen is a Praetorian; a group of elite soldiers trained by the Republic and bestowed with implants to enhance their skills. She cannot sleep, drink alcohol, or feel pain due to her implants. She is a one woman killing machine. After an incident leaves Mae suspended for fighting she is reassigned to Dr. Justin March, a man excommunicated from his job within the government. Mae is hired as his bodyguard while he investigates a series of gruesome murders. Their trip brings them back into RUNA (Republic of United North America) by way of Panama, the place he has set up home during his exile. Unfortunately, the two meet unknowingly just before learning of their new assignment and form an attachment. This single encounter sets up a dynamic that fuels the contentious circumstances between each other for the rest of the book. Gameboard of the Gods is a hard book to pin down. Ostensibly, it's very much Science Fiction in scope and tone, but there are elements that decry its origin and blend this book nicely into Fantasy. It's a genre bender and, for that, Mead deserves some credit for her efforts. It's a hard task to blend the two so seamlessly. Gameboard of the Gods is a daring blend of the Science Fiction elements of the Biopunk genre crossed with the Fantasy elements of the Mythpunk genre. It's both pathways and yet neither in tandem... and it's like nothing I have ever read before.Where the book lost me is in the world building itself. Some of the exposition passages are long and over reaching and not definitive enough to establish a believable world. I would have preferred a more natural progression of detail than the info dumping chunks that peppered the beginning half of this book. This is also a dangerous field to navigate - setting up the world in the first book. There is no way to do it gracefully if you intend to inundate your reader with so much world up front. It's a bumpy road to traverse and I definitely felt the jolts along the way. It makes me hopeful that the latter books will not be so rocky.What kept me interested, and eventually won me over, were the characters in question. Mae is a fearless warrior, a Valkyrie of old as Justin has snarkily dubbed her. She is the biggest reason that I read the book. I had to know where she was going, how she would open up, and whether or not she would grow. Justin was not my favourite at the onset but I don't think that is Mead's intent. He grew on me by the end of the book. I feel like he is the character that will have the most change throughout this series. Frankly, I found him to be a ponce, but... again, we, as the readers, are supposed to. He's not written to be agreeable. At least he becomes a lovable ponce. To that end Mead was incredibly successful and I bow to her ability. It's always hard to write a less likable character that a reader ends up rooting for by the end of the story. There's an interesting thread of superiority in this book; a constant struggle of egos between the Plebians (lower born) and the Patricians (oft called Castals pejoratively). Because these two characters firmly straddle both castes the dynamic is in constant flare between them. This is the character building element that will intrigue the reader the most - Mae and Justin's dual irritation and attraction of each other's arguably worse assets - their pasts, and sometimes also their futures. There are other things I liked and disliked but listing them all starts to descend into spoiler territory and I won't go there. Suffice it to say the direction that this book takes, and the story that Mead weaves together by the end of the book, is inventive and exciting. It reminds me of Neil Gaiman and Maggie Stiefvater. Comparisons are inevitable but even with those two the book is still uniquely Mead and I appreciate this new world from her. I look forward to reading the rest of the series in the future. 4 out of 5 stars.- review courtesy of www.bibliopunkk.blogspot.com* Gameboard of the Gods releases June 4, 2013. My thanks to the fine folks at Penguin who provided me an e-arc via Netgalley.